According to EC Regulation 261/2004, passengers have the right to cliam compensation from Luftansa for denied boarding due to overbooked flights and for flight delayed for 3 hours or cancelled without any prior notice. 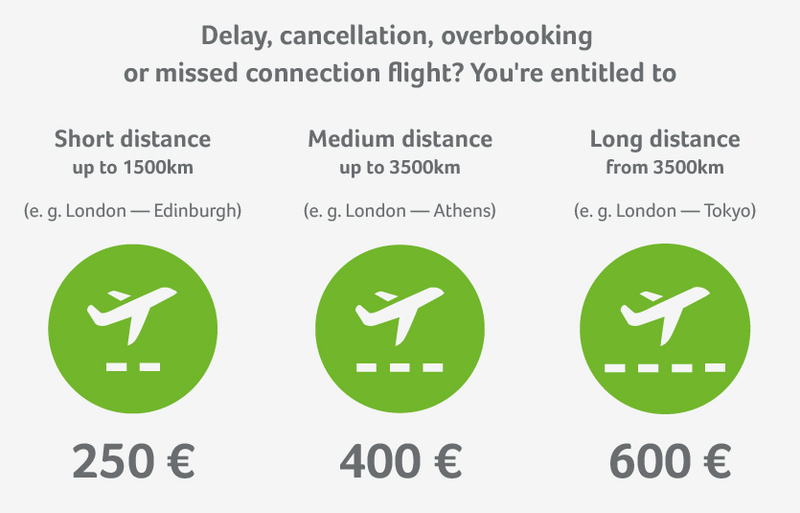 When does flight disruption qualify a passenger for compensation? When the delay stretches longer than 5 hours you can, regardless of the distance, withdraw from your flight. The airline must then either reimburse you or offer you alternative transportation to your destination. When the flight is postponed until the following day you become eligible for a night in a hotel, including transport to and from the airport. Contact Lufthansa directly and request confirmation of your hotel room and transfers to be provided in writing. Important: Don’t accept their excuses! Vouchers for food and drinks, or a hotel, don’t negate the airline’s responsibility to compensate you. Thanks to our expertise, we enforce customer compensation with very high success rates. That’s why we are able to promise a completely free of charge service if your case proves unsuccessful! Lufthansa’s primary hub is based in Cologne, and the Lufthansa group transported a staggering 110 million passengers in 2016. It operates a fleet of 273 aircraft consisting of both Boeings and Airbuses. Passengers have a choice of four different classes when flying with Lufthansa. Lufthansa reported a satisfactory year in terms of flight delays of three or more hours; they were more punctual in that respect than many of their rival airlines. The issue they had was without outright cancellations - their passengers suffered an above average number of these and some work is required to improve this. Lufthansa set a good standard when it comes to compensatory claims made against them for flight disruption. They are responsive and prompt when dealing with Flightright and we need not often take court action against them. When flying with Lufthansa there are many options available for online check-in, much of which is dictated by which class you fly in and whether or not you are a frequent flyer. As such the best course of action is to check their website. An even more effective route would be to download their app where you can complete your check-in as well as being provided with flight updates. More information about Lufthansa is available here.